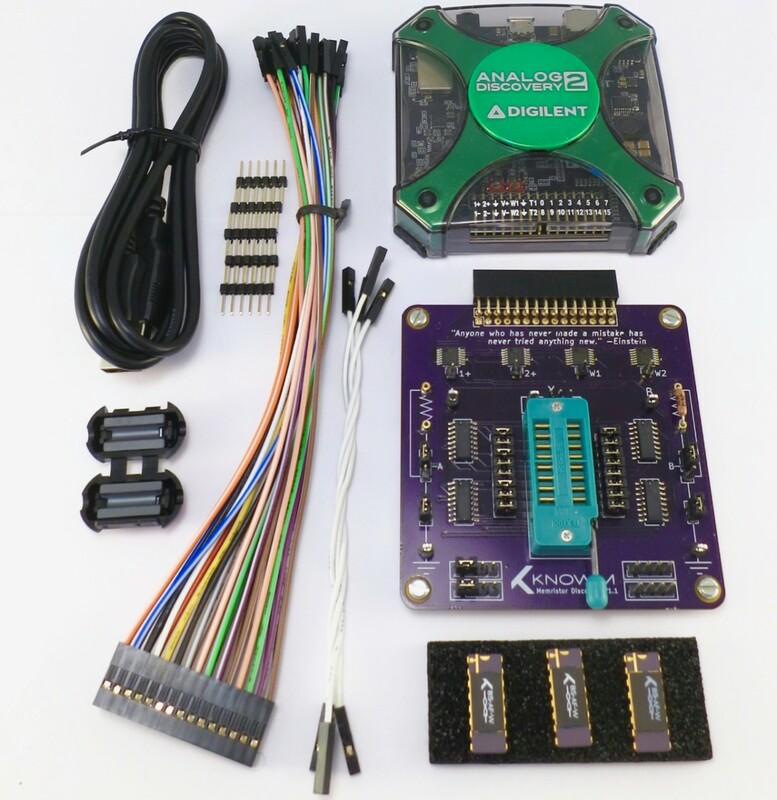 View cart “Analog Discovery 2 ($179 w/edu discount)” has been added to your cart. 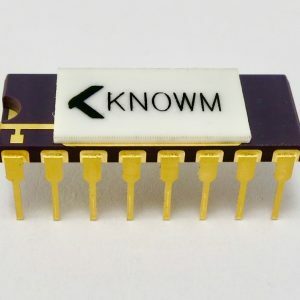 The Pro Memristor Introductory Kit is the fastest and most affordable way to introduce yourself to the new world of memristor electronics. 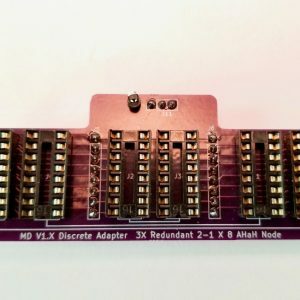 The V1 board allows for complex programmatic memristor experiments. Available with an Academic Discount for only $924! Please contact us with a valid academic address and email (that matches billing email provided at checkout) and we will provide you with a coupon code for the discount. 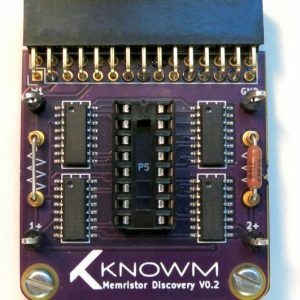 Open-source and extensible Memristor Discovery Software includes multiple experiment like ‘Hysteresis’, ‘DC’, ‘Pulse’, ‘Synapse’ and ‘Classify’. New experiments can be easily created by a Java programmer. BoardCheck Experiment: Self-test the functionality of your board and memristor chips. Hysteresis Experiment: Drive a memristor in series with a resistor with a sinusoidal or triangle waveform and observe the response as either a time series, I-V or G-V plot, revealing the signature hysteresis behavior of the memristor. The user can adjust the input signal voltage, frequency and offset and observe the response in real-time. 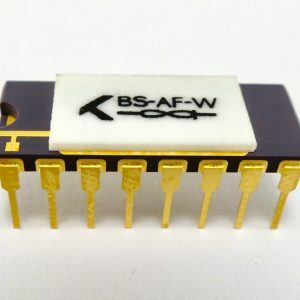 DC Experiment: Drive a memristor in series with a resistor with various ramping functions including sawtooth, sawtoothupdown, triangle and triangleupdown at time scale from 10 to 1000ms. Pulse Experiment: Drive a memristor in series with a resistor with one or more tunable pulse waveforms ( Square, Sine, Triangle, etc) and observe the instantaneous and post-pulse response. The instantaneous response is displayed on the upper chart as a time series of voltage, current or conductance. The lower plot shows the conductance of the memristor, as measured by a low-voltage (.1V) read pulses. The sampling rate of these measurements can be set on the control panel. Shelf Life Experiment: Used to measure the switching function of memristors over very long durations of time, recording the measured data into a CSV text file at specified intervals. Synapse Experiment: Allows you to drive a “2-1 AHaH” differential synapse with elemental kT-RAM instructions and observe a continuous response in synaptic state and synaptic pair conductances via repeated FFLV read instructions. Classify Experiment: Performs online supervised classification with an 8 input AHaH node (differential memristor pair synapse neuron). The top plot displays an exponential moving average of the classification accuracy while the bottom plot displays the measured synaptic states after each training epoch.